The book comprises of five fairy tales: The Little Mermaid, Snow White, Sleeping Beauty, Beauty and the Beast, and Cinderella. Each story portrays a traditional character but with a contemporary twist addressing current social issues faced by girls in Indian society. 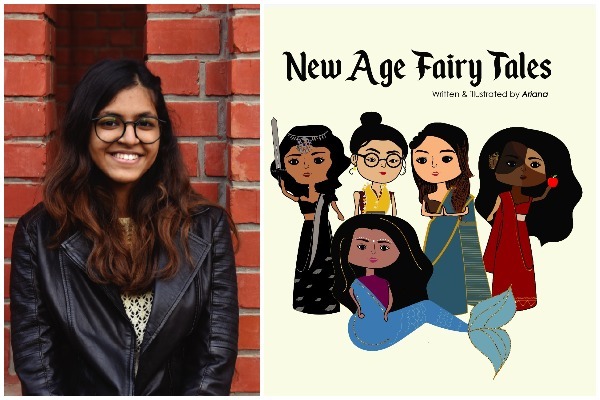 In its new avatar, fairy tales which have been considered 'women's tales' with a moral lesson in the end on how women should behave to find their 'happily ever after', find a new version within the feminist genre by a young author. Ariana Gupta, a 17-year old feminist, has taken the first step in bringing about a thought revolution. Her book 'New Age Fairy Tales' (which she has written and illustrated), holds a powerful message for little girls around the world. Escaping the damsel in distress plot, in these stories the princesses save themselves. 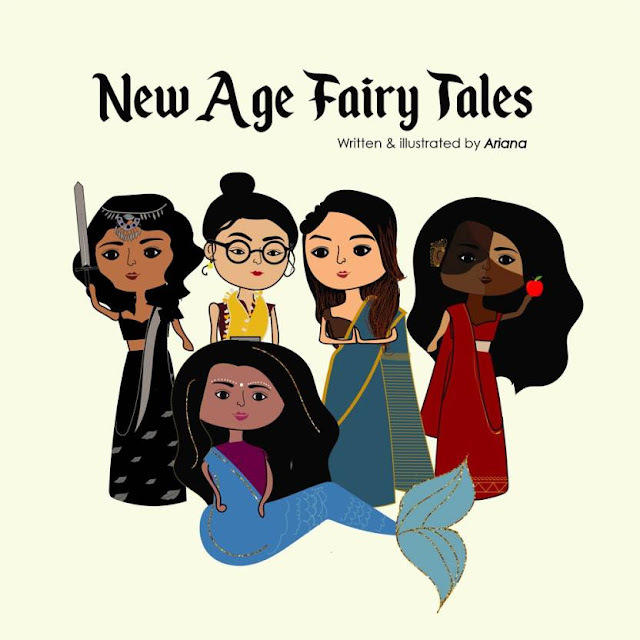 Ariana, the author, says, "Inspiration behind this book was based on an advertisement campaign, titled Fiery Tales, which served to redefine the ideas of beauty using traditional fairy tale characters who weren't strong role models to look up to. I felt the need to educate young minds with something more meaningful and thus started this experiment of retelling stories with fairy tales." Ariana added that for someone who grew up reading traditional fairy tales, she didn't have the best of role models. "The princesses were always helpless women waiting to be rescued by their knights in shining armours. Thus, it was always my dream to create fairy tales with strong, independent and realistic characters so that other little girls could have role models that I never had. The purpose of the book is to introduce feminism to children at a young age. Even if I am able to impact one little girl's life who can grow up to be an empowered woman, I know that I would have done something right by my art." Mrs. Avnita Bir (Director- Principal, R.N. Podar School), on the occasion of the book launch of 'New Age Fairy Tales', said, "The young generation is buzzing with ideas of novelty with a touch of freedom. Times are changing and our stories need to evolve too. Ariana, our school's student is an embodiment of what this generation wants to read and learn." Passionate to pursue a career in the creative field, Ariana Gupta got a 98.4% in her 10th boards and stood first in her school (R.N Podar) and is currently studying PCM in the 12th grade. She is a very studious and creative individual. Conversations with her are never not fun. She is outspoken and loves to debate. Apart from being extremely helpful and hardworking, she’s a voracious reader and a skillful artist. Nothing brings her more happiness than opening the door to discover the amazon delivery guy standing with her book. Along with a fondness for reading she also loves writing. Ariana can be described as a multipotentialite. With an eye for photography there’s hardly anything that she can’t do. Her camera takes her to destinations all over the world, to capture sunsets, people and more. She loves Disney movies and has always dreamt of directing one. But for now, she has decided to stick to freelancing as a graphic designer. Her artwork revolves mainly around ideas of femininity and womanhood. When it comes to designing, she’s done stuff ranging from book illustrations to logo designs. She also handles communicative design for all of her school events. She recently even designed yearbooks for grade 12th. When she’s not busy studying you’ll find her sketching in a cozy corner.